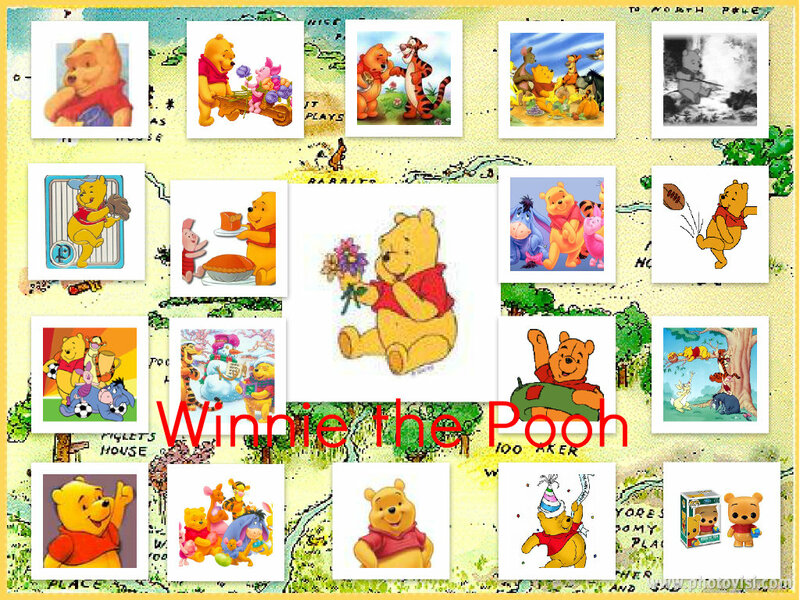 Winnie the Pooh Collage. . HD Wallpaper and background images in the Winnie-the-Pooh club tagged: winnie the pooh hunny character disney. 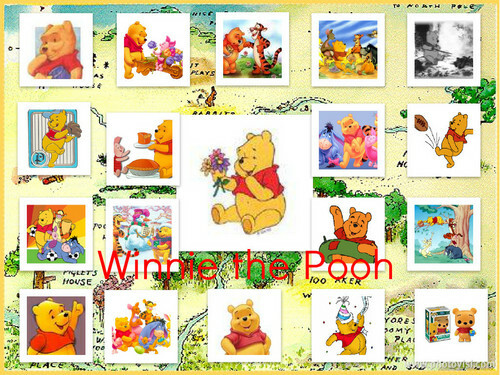 This Winnie-the-Pooh fan art contains bwawa, dike, and dyke. There might also be gazeti, karatasi, magazine, tabloid, rag, jarida, tabloidi, limemalizwa, anime, comic kitabu, manga, cartoon, and mkono.